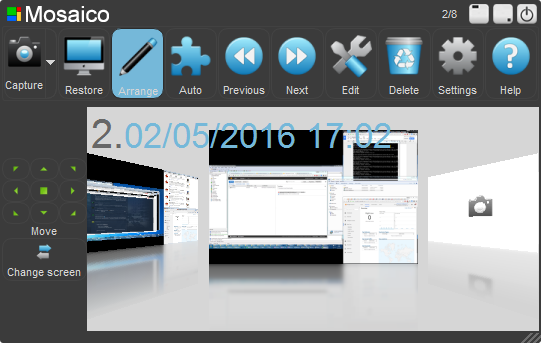 Mosaico 1.8.4.3 is available for download. This version is a maintenance release and introduces minor fixes related to installations over a network. A lot of behind the scenes work has been going on lately, so expect general performance and compatibility improvements now, and a lot of great news very soon. This version changes the way your license data is stored on disk, by making it tied to the PC, rather than the current user. This allows network installers to install and register once for every user on a PC, rather than repeating registration for every user on each machine. If you have a “per seat” license (i.e. Standard, Workgroup or Enterprise) please install this version to simplify the deployment process. You can go to www.soulidstudio.com/download/ to download the new version, or to www.soulidstudio.com/buy/ to get your PRO license and become a Mosaico supporter!. http://www.soulidstudio.com/wp-content/uploads/2015/08/logo141x60.gif 0 0 admin http://www.soulidstudio.com/wp-content/uploads/2015/08/logo141x60.gif admin2016-05-02 18:02:052016-05-02 18:02:05Mosaico 1.8.4.3 is available! A new Mosaico update is available (1.8.4.2) Mosaico 1.8.4.4 is available!